Frizzy hair season has gone, and Fall is movin’ in. It’s time to change out the clothes and the decor. Don’t sweat it though. 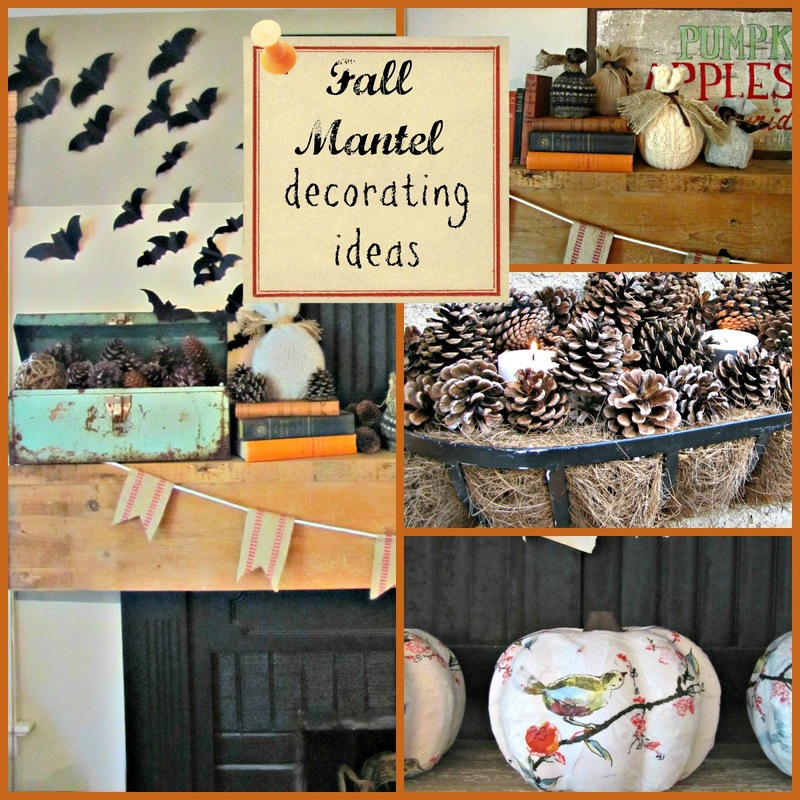 I’ve got some simple, easy and often free ideas for how you can bring Fall into your home. Last year I painted this fabulous Fall sign curiosity of Ella Claire. And, the sweater pumpkins were a cinch to make. I also made some original pumpkins with music sheet paper and guest napkins. 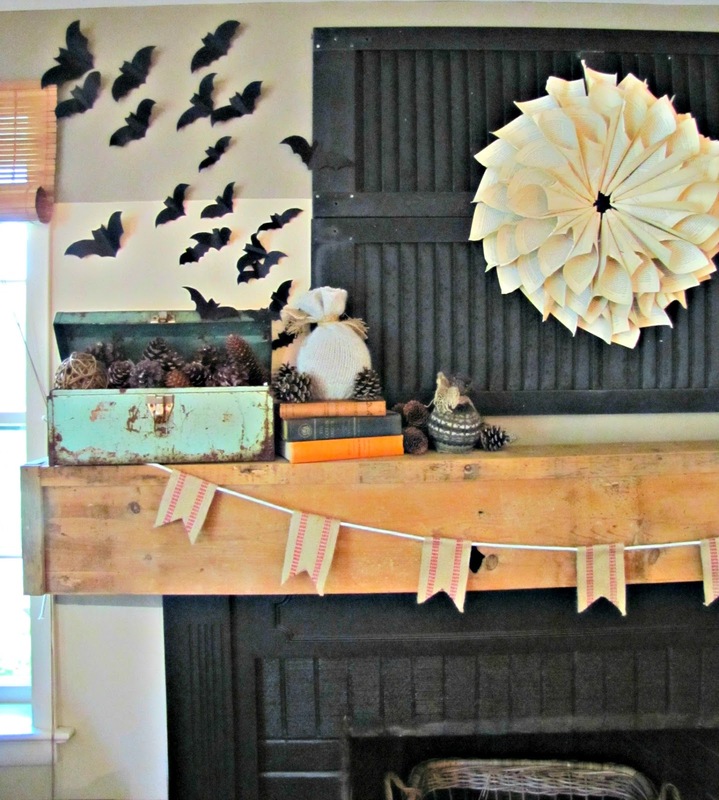 The black bat mantel was a huge hit and a great craft to do with your kids. It’s simply made from black card stock cut into different sized bat shapes, then creased in the center. I use double side tape to attach them to the wall. 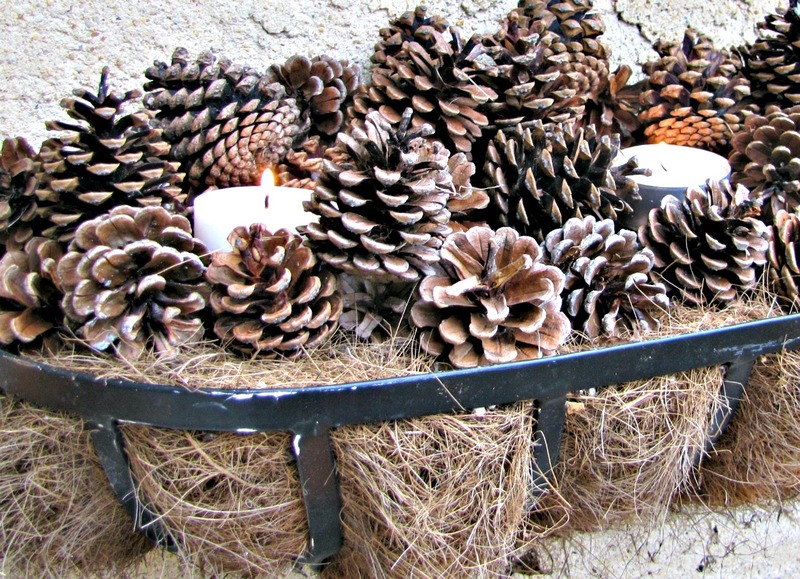 Although this window box filled with pine cones looked great and was free, skip the candles. This little project went up in flames one night while hosting a party. Our first Fall in this home I filled the fireplace with pumpkins painted with flames and candles. So there you have it. 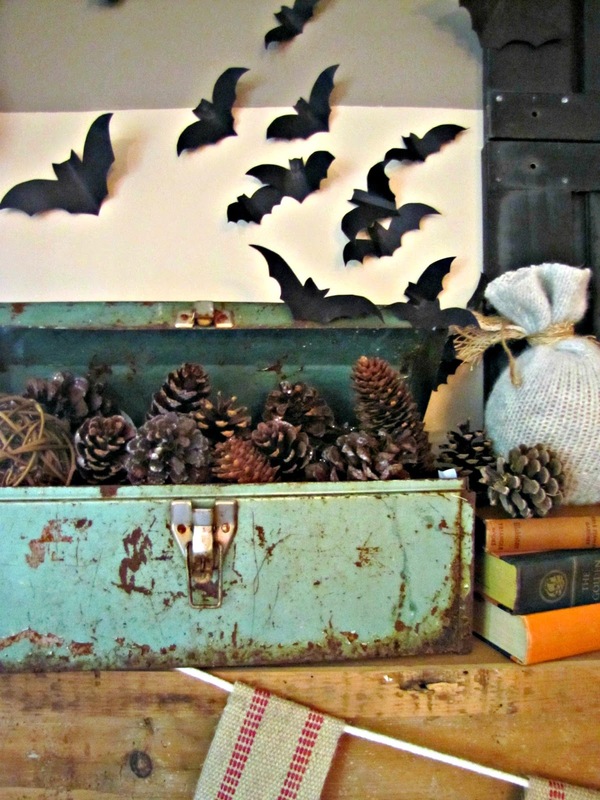 A bunch of ideas for you to bring Fall into your home without stress. For more ideas check out my pinterest Fall page. I have a Fall DIY page and a Fall Style page. And, if you love to camp in the Fall, I even have a Camping Style page. Oh my so clever! 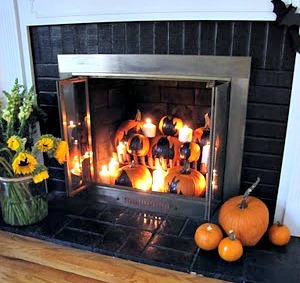 I love the shutters turned sideways and the flames on the pumpkins- Fantastic! Here from pinterest. 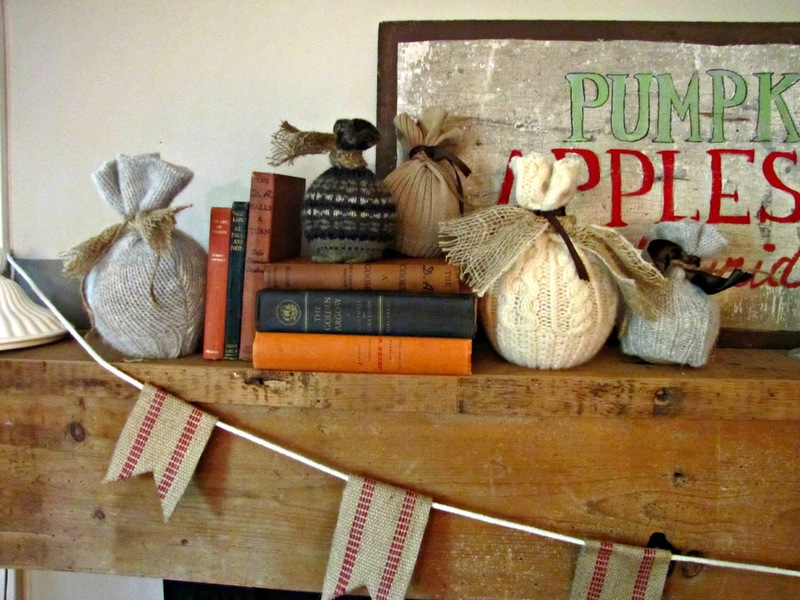 I have been trying to get some ideas how to decorate my mantle.I LOVE that pumpkin and pine cone.Thanks for sharing! !